The Korea Herald is publishing a series of articles on South Korea’s latest measures, hurdles and the market drive for hydrogen economy. This is the third installment. -- Ed. Korea’s first hydrogen-related act is highly likely to be passed this year due to the government’s strong willingness and a consensus reached on the green energy source by both ruling and opposition parties, according to the lawmaker who proposed the bill. Despite having launched the world’s first hydrogen cars, Korea still has no framework legislation that can serve as a control tower to boost the renewable energy industry. In April, Rep. Lee Won-wook of the ruling Democratic Party first proposed a hydrogen economy act that includes a 10-year plan for the Energy Ministry to spearhead related technology development and foster businesses. “We intentionally put basic content in the bill (so that it would be able) to be passed faster because revision is much easier than legislation,” Lee said in an interview with The Korea Herald. Three more bills related to hydrogen have since been proposed by both ruling and opposition parties. Rep. Park Young-sun of the Democratic Party proposed a bill for the safe management of hydrogen and the related business this month. 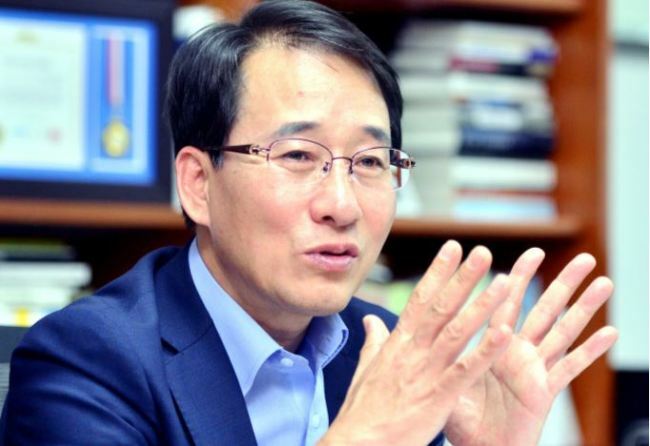 Rep. Lee Chae-ik and Kim Kyu-whan of the main opposition Liberty Korea Party proposed a bill to vitalize the hydrogen economy and a bill to foster the hydrogen industry in May and August, respectively. “We are confident the bill will be passed this year. The government has strong willingness to pass the hydrogen bill and a consensus was reached among ruling and opposition parties,” said Rep. Lee Won-wook. Despite launching the world’s first hydrogen car -- Tucson by Hyundai Motor -- Korea’s hydrogen push did not last long until fine dust emerged as a critical issue last year. As the density of fine dust particles in the air approached 200 micrograms per cubic meter throughout the country, there was mounting criticism over the use of coal -- regarded as the main culprit behind fine dust -- while calls for the use of renewable energy grew. “Fine dust pushed President Moon Jae-in to include the energy issue in one of his election campaign pledges, and the hydrogen push naturally gained momentum,” said Lee. In November last year, the Moon administration set the Renewable Energy 3020 goal, with the aim of increasing the proportion of energy generated from renewable energy to 20 percent of the total by 2030 from the current 7 percent. This month, the government set hydrogen as one of three strategic investment areas, setting aside around 100 billion won ($90 million) to invest next year. “A combination of legislation from politicians, the government’s strong drive and advanced technologies from the private sector will make hydrogen an important source of power generation,” Lee said. Some Korean conglomerates, including Doosan and Hanwha, have jumped into businesses that use byproduct hydrogen as fuel. 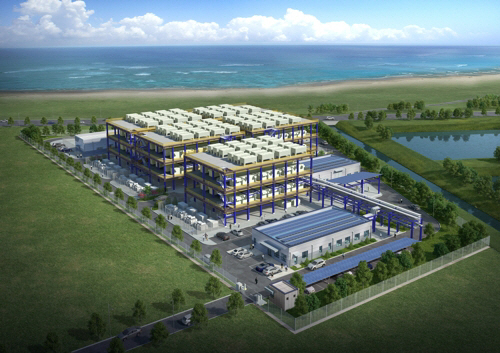 This month, Hanwha Energy began construction of the world’s first plant that uses byproduct hydrogen as fuel, with the aim of providing 400,000 megawatt-hours of electricity per year from 2020, in Seosan, South Chungcheong Province. Doosan will participate in the project with its technologies to use byproduct hydrogen as fuel. Apart from the plants for byproduct hydrogen, Korea can also consider importing hydrogen in the future if technologies are developed further, according to Lee. Unlike other energy sources, such as solar energy, hydrogen can be generated without interruption. It can also be stored and transported. “This means hydrogen can be imported from, for instance, Australia, Mongolia and Africa, which have vast land, through vessels in the same way that we import liquefied natural gas or coal,” Lee said. Meanwhile, Korea’s hydrogen rival Japan is currently pushing to build a transportation system to extract hydrogen from brown coal buried in Australia to save on production costs. Japanese automotive company Mitsubishi also plans to bring hydrogen extracted from LNG from Brunei by 2020. Despite the potential of hydrogen as a new energy source, challenges remain. Foremost among them is a lack of awareness among the public about the renewable energy source. “The biggest challenge facing the government is how to dispel people’s worries about a hydrogen explosion,” said Rep. Lee. Although energy experts say there is little chance of a hydrogen explosion occurring at any charging stations or plants, many still doubt the safety of the energy source, opposing the presence of hydrogen plants or charging stations in their neighborhoods. In 2009, when a hydrogen charging station was set up at Yonsei University in Seoul, there were also many complaints from students and residents. The charging station no longer exists due to infrequent use.